Does is get any more Summery than a WATERMELON beer? (well, maybe a Grilled Cheeseburger beer, but I’m not sure how tasty that’d be…) Horny Goat Watermelon Wheat has got it all: the bitter kick of a well hopped American pale wheat ale, the sweetness of watermelon and- best of all- it’s SEEDLESS! But be warned! Like the tasty fruit, HG Watermelon Wheat is a seasonal treat, so try it now before it’s gone. 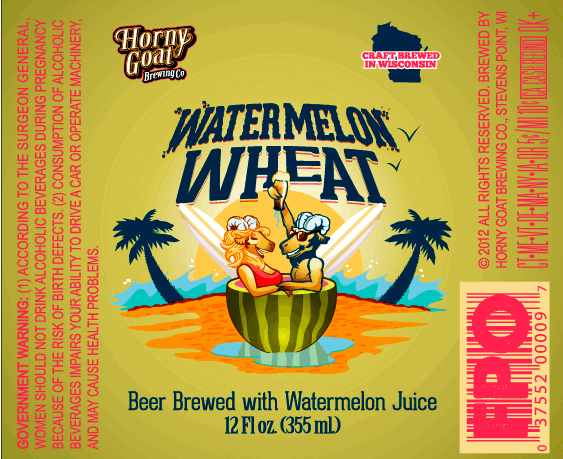 Check Out Horny Goat Watermelon Wheat On BeerAdvocate.Com!